Great card! Love the bold colors! AAck! I am so into simple these days and this card is the bomb!! Love the colors, the layout, everything!! What a sweet and simple card! Lovely job! Simply beautiful! I love this set...I just used it yesterday! 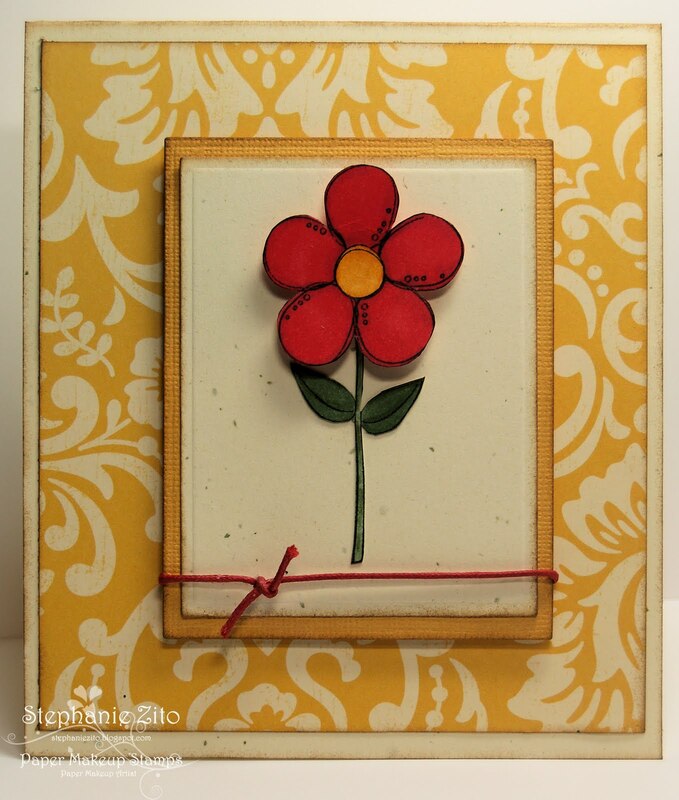 Lovely card, Stephanie! Hi Stephanie, what a gorgeous card! Love the flower and pretty paper. Thanks for joining us at Papertake Weekly this week and good luck! One word to describe this CAS card...PRETTY!